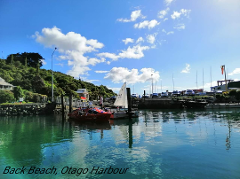 Linking the Otago Peninsula with Port Chalmers, our harbour ferry service allows a quick, enjoyable way to get from 'Port to Port'. 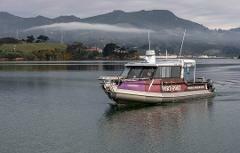 Usual services run to and from Portobello and Back Beach, Port Chalmers. 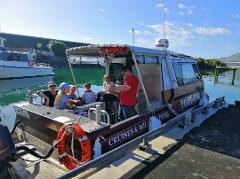 Linking the Otago Peninsula with Port Chalmers, our harbour ferry service allows a quick, enjoyable way to get from 'Port to Port'. Usual services run to and from Portobello and Back Beach.